John Fowler and Sons made heavy duty steam wagons. This postcard was advertised on eBay as the Mock Steam Car, with no accompanying information. 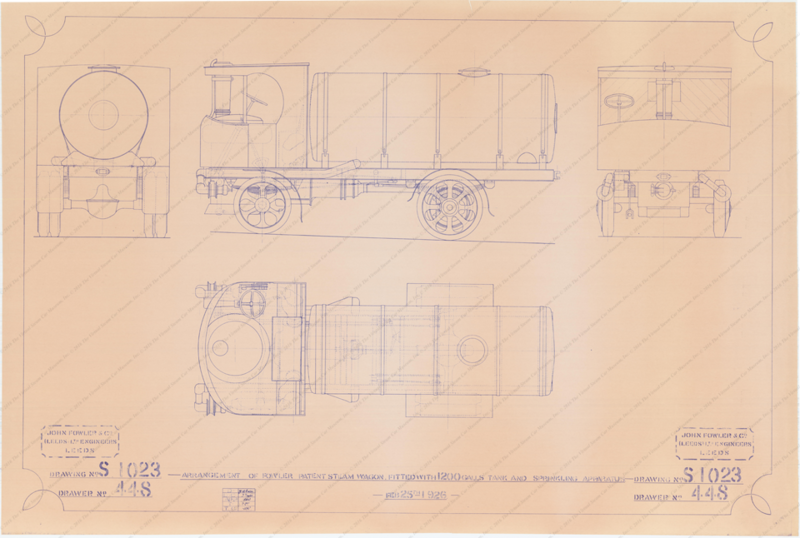 This mechanical drawing of a John Fowler steam wagon is dated February 25, 1926, but may be much later. Contact us if you have additional information about John Fowler and Sons, or if you have questions.